Belmore Shogun at the Belmore Sale. 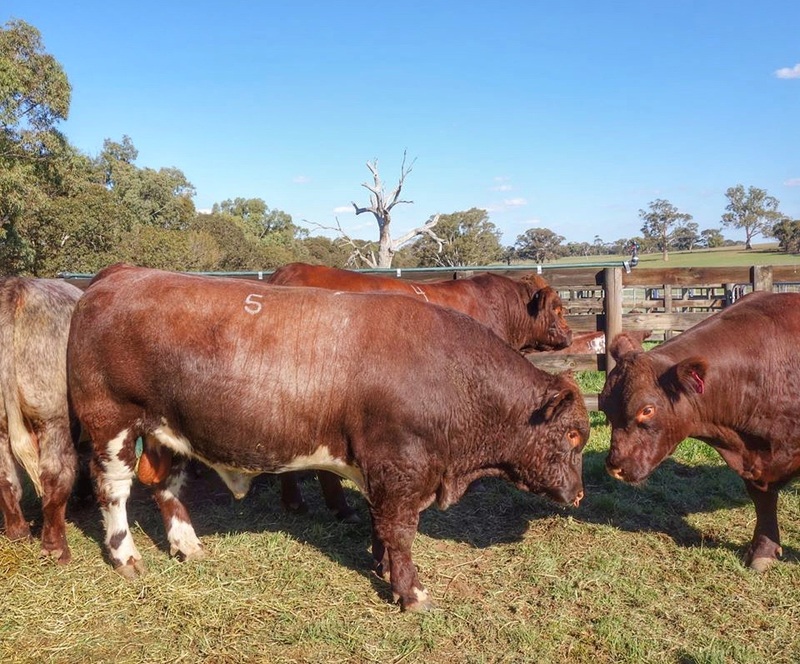 On April 30th, 2015, Steve and Amanda travelled to Naracoorte, South Australia to attend the Belmore Shorthorns’ Second Annual Sale. 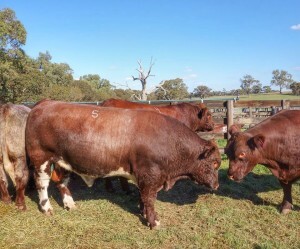 There we purchased two of the best bulls in the sale. Belmore Shogun J40 is a moderate framed easy doing roan with excellent carcass and growth as well as moderate birth weight. He is a lovely looking bull and is already much admired all over the world. We think he will make an excellent match with our young cows by Royalla Jedazzle and Marrington Attraction. Belmore Supercool J66 is another excellent bull. By super sire, Belmore Jackaroo, he too has a great range of EBVs including EMA of 8.3. A beautiful soft roan, Supercool was also part of the Belmore show team and impressed us with his excellent muscle definition and quiet temperament. We are confident both bulls will be very beneficial to our herds.